From Bangkok to Phuket, Thailand is a country filled with abandoned pets. Dogs of all sizes, shapes and descriptions roam the streets, alleys and beaches in search of food and shelter. Some form packs, others hunt solo looking for a handout or a misplaced scrap of food. Many of these dogs, especially the packs, will claim a street or stretch of sand as their turf that they will defend with their lives. The education of an entire nation will take time, and time is something that many of Thailand’s abandoned animals don’t have. Every day hundreds of dogs lie sick or injured in Bangkok’s streets and alleys, whimpering for help that seldom comes. 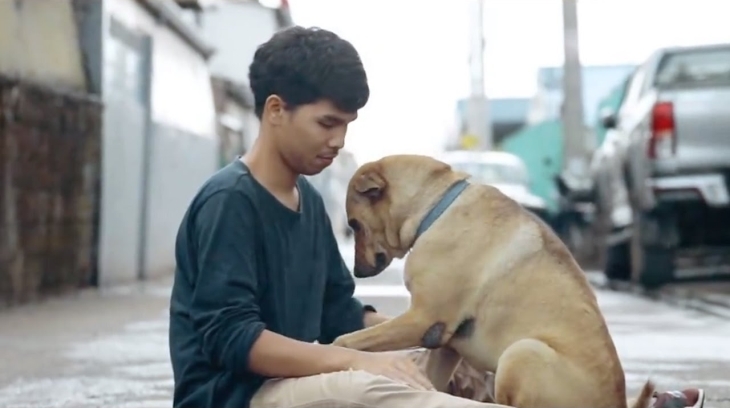 In this video entitled “The First Hug”, a young man named Sorasart Wisetsin is making it his mission to give street dogs love and compassion and to help raise awareness for responsible dog ownership. Wisetsin rescued two stray dogs off the streets, one who he named Gluta, and since then he’s been helping the stray dogs in his community. He gives them baths, and in this video, he gives them hugs. The dogs’ reactions are touching, especially the one at 1:59. It just goes to show, that a small bit of love and attention can make a difference. 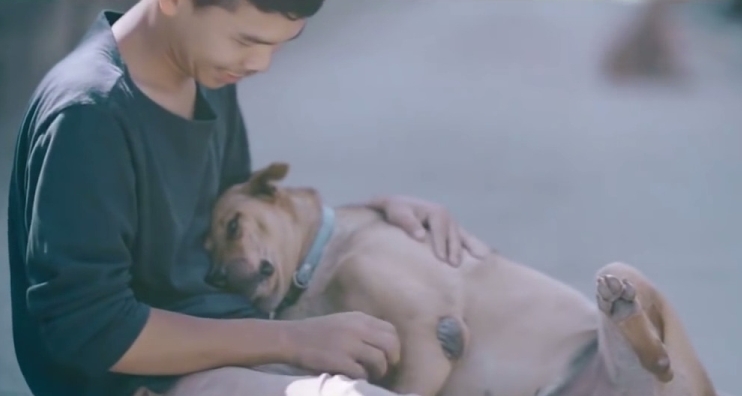 Responses to "Stray Dog Melts Into Man’s Arms When He Gives Her A Hug"
Good luck with that. We in Canada and the US still treat our animals like crap and we are suppose to be educated. People just don't care unless it involves them. Humans are here to do what they want. Good luck changing that attitude.